Sean Libby our President found a natural instinct at an early age being inquisitive and joining with his grandfather in small mechanical projects and recalling being introduced to electrical wiring at an unusual young age. 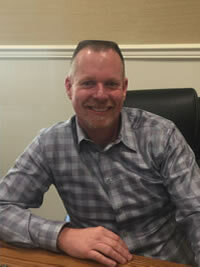 That natural progression forward him to vocational school where he selected and excelled in HVAC systems and design, working for a few small MEP Contractor's, Sean took an opening with Industrial Cooling ICACS -a Chiller Service Provider in NYC. As ICACS first employee Sean experienced the dynamics of business and by the mid-2000s had a well-established business of his own-The TurboChyll Company. Shortly after, and with ICACS decided focus and interest in the Heavy Chiller Market exclusively-the "HVAC" side of its business was placed into the care of Sean and "Turbo". Since then, Sean has developed these clients and many others, as well as its people and products to a safe and efficient workplace with the care and trust that we all know him for! Al Caccamo - or affectionately Big Al, was literally born if not bred into the mechanical services industry. Starting in his Brooklyn, NY multi generation Oil services business, Alfred would help his father fit boilers on cold NYC evening where he learned from his Dad- that it was the customer they were there for on those nights! He continued into the footsteps of parent and grandparent proudly running that business. With the evolution of natural gas fuels the small business changed dramatically but not Big Al's understanding of customer service. Joining TurboChyll in 2008, he imported those inherent skills and values with his vision to mechanical systems delivery and maintains a position as our lead Mechanical systems Manager. While many competitors offer similar services-for us, no "Turbo" Mechanical Installation would be served with that special care, detail and confidence that Big Al and his team has and continues to bring to our offerings. 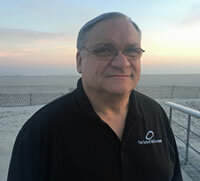 Brings to The Turbochyll Company over 40 years of HVAC Technical and Managerial experiences.In those 40 years, Joe has worked on a wide range of HVAC -R systems from varying sectors of our Industries, starting in the family business of Marine HVAC andPower systems to industrial plant services. Water, Compressed air and steam. Joes early experience in the industrial field include designing, building and servicing of custom control panels for industrial and medical compressed air and vacuum systems which provides the experience and understanding to assist our clients in making the right choices for their plant's needs. 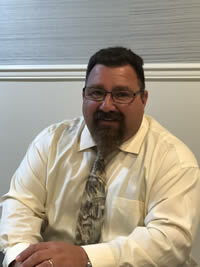 Joe has worked as a field service technician, service manager, general manager and HVAC instructor in which he was awarded instructor of the year 2011.